Beautiful, Modern Condo Directly on Ocean ! This 2 bedroom, 2 bath condo is directly on the Ocean. Our 3rd floor balcony looks directly at the beach and sea! Take the elevator down and with a few short steps you're directly on the beach. No need to take loads of things to the beach - lunch and bathrooms are only steps away! This is our vacation home which we use all year round and we keep fully furnished and equipped. We are hoping to rent to 'good people' who will treat our place like your own. 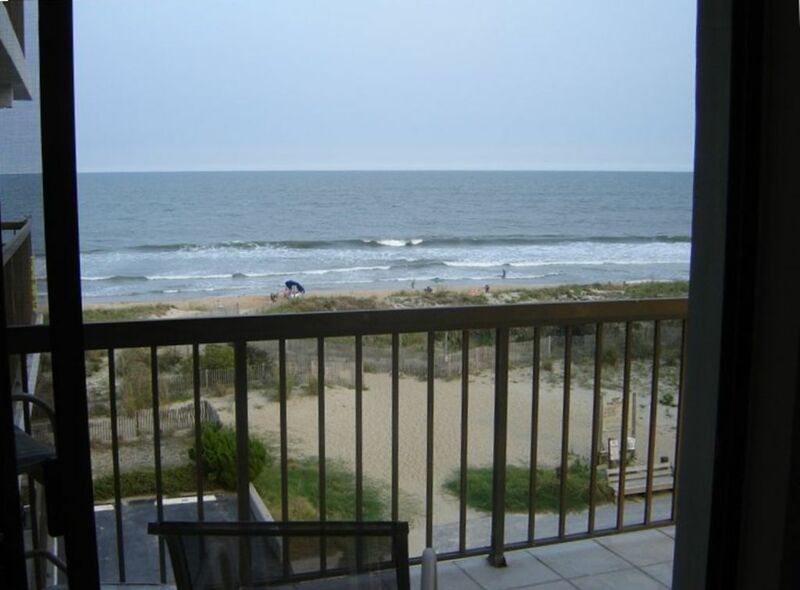 You won't find a nicer condo in Ocean City - we know - we looked everywhere before we bought! This 16 unit building has only a few condo's that are willing to rent, it's that exclusive. So if it's a newly furnished, complete condo directly on the ocean, within walking distance to many restaurants & amenities that you're looking for - here it is. See the entire condo at our website. We are two professional couples and partners in the condo. All our children are now in college or grad school. Sadly we can't use the condo as much as we'd like. North Ocean City is a very family friendly area of the beach - no rowdy teenagers - with lots of shops & eating locations all within walking distance. This is NOT a 'rental' unit. This is our second home. The furnishings and household items were bought and installed with that in mind. There is nothing in this unit that we do not use ourselves. Owner is an amateur chef - kitchen is WELL equipped. This was the 2nd year I brought my family to this condo and it was just great. You can't beat the view and proximity to the beach. Looking forward to many more years of fun. This isn't a typical rental, it's the owner's beach home that they also use. Beautifully decorated, new kitchen and bathrooms. AWESOME OCEAN FRONT BEACH CONDO, GREAT LOCATION WITH ALL THE AMENITIES! This is the best OC Condo we have ever stayed in for our annual family summer vacation and we’ve been coming to Ocean City for thirty plus years as a family and we always look forward to next years vacation.The owners are great people to rent from and they take pride in everything they do. They keep the condo clean and efficient for the people who stay there. They continually make improvements to assure that your stay is as stress free as possible. They have recently made some renovations with some awesome modern updates. The kitchen is very nice and has all the amenities, there’s a large flat screen tv in the living room that makes for a nice relaxing evening after a hard day on the beach. This unit is Very clean, very roomy and very well equipped with a lot of extras. It also has plenty of parking available and easy access to and from the beach, can’t ask for anything better in our opinion. We love it there! This condo is awesome and location is great! It is updated and decorated beautifully. We have stayed here the last 2 years and already reserved it for next year. Ken is great to deal with. Response time is very quick. Can't wait to go back!! !